Milk is a leading segment of Michigan’s agriculture industry, with nearly 1,500 dairy farms located throughout the state. From gallons of milk to artisan cheese and creamy yogurt, many dairy foods in Michigan are made with milk that comes from right here in the state. There are nearly 90 dairy processing plants in Michigan. 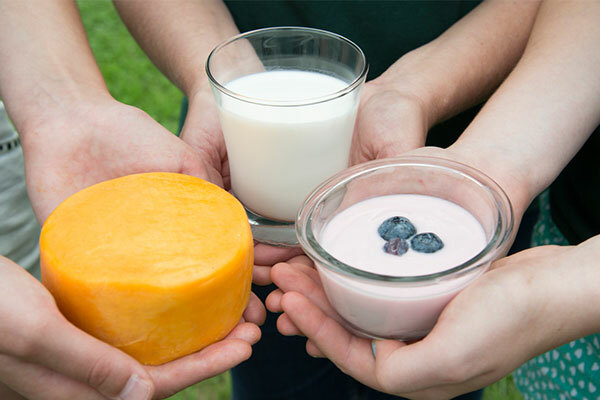 In addition to bottling milk into gallon, half-gallon, and pint-size containers, they also process cheese, ice cream, yogurt, dry powdered producers and infant formula. Surplus milk not needed by Michigan processors is shipped out of state. How can I tell if the gallon of milk I purchased was processed in Michigan? Each container of milk is identified by a 5-digit code. The code includes a 2-digit state code followed by a 3-digit processing plant code. Milk packaged in Michigan is identified by the state code 26. No single dairy farm family is successful on their own. 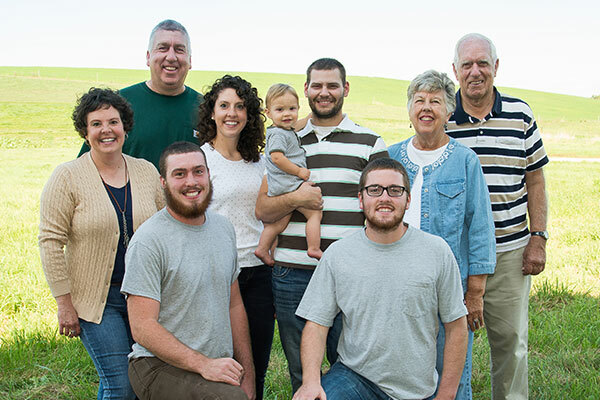 You’ve heard the saying “It takes a village…” In the case of producing the highest quality dairy products here in Michigan, it really does take a village. Dairy farmers are important parts of their community, and the community is equally important to dairy farmers. Veterinarians, animal nutritionists, milk truck drivers, bankers and processors are just a few of the community members dairy farmers work with regularly. Together, they work in partnership with dairy farmers and Michigan’s dairy industry so we can enjoy fresh, high-quality milk, cheese and yogurt. Learn more about locally-produced dairy foods and the industry that helps drive our state’s economy.